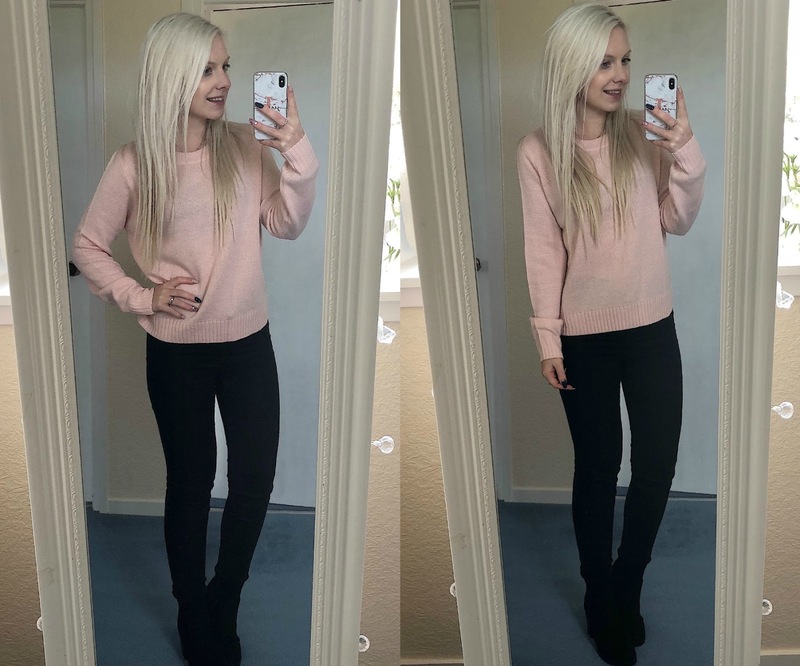 When I lived in Edinburgh for uni I loved shopping in H&M, their sizes might be a little all over the place but they always had good staples with affordable prices. I've never really ordered from their website before because there used to be nothing but horror stories about it's delivery and so it slipped off my radar, that is until I was enticed in with their £8.99 knitwear. With a 20% discount code and free delivery I bought a few different things and I've been reminded why my wardrobe used to feature so much H&M. The first was definitely bought with Christmas nights out in mind. Paperbag trousers are a stylish option and a nice alternative to jeans. 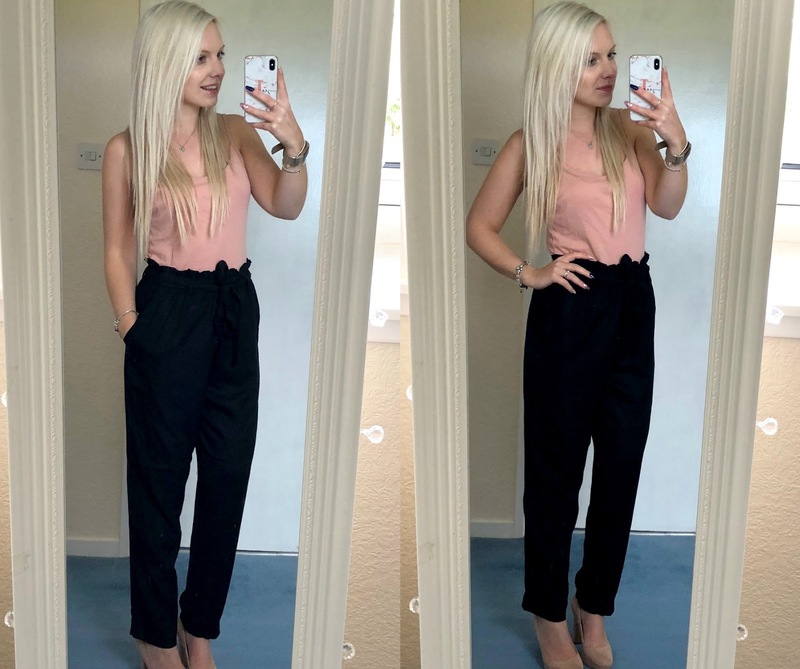 These trousers were just over £10 with the discount which is probably cheaper than a pair from Primark! I bought them in a size 8 and they are a good fit and not too long on my short legs. The only thing that I'm not 100% happy with is the fact that they're the sort of material that crease easily and I'm not a fan of ironing! My next purchase is a complete basic and a total bargain. The spot print t-shirt was £3.19, it's a lovely material, a good fit and actually looks a little dressier than a simple cotton t-shirt. The spot print kind of reminds me of the animal print trend. And the reason I ended up on the website in the first place, a light pink knitted jumper. 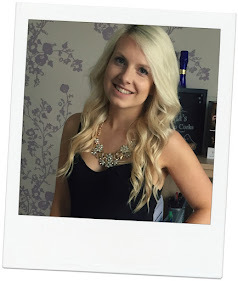 This cost just over £7 and it's perfect for Autumn - not too thick and a nice length. I'll be wearing this to work no doubt with a pair of black jeans and boots but I've also already worn it with a leather skirt , tights and boots for a party. 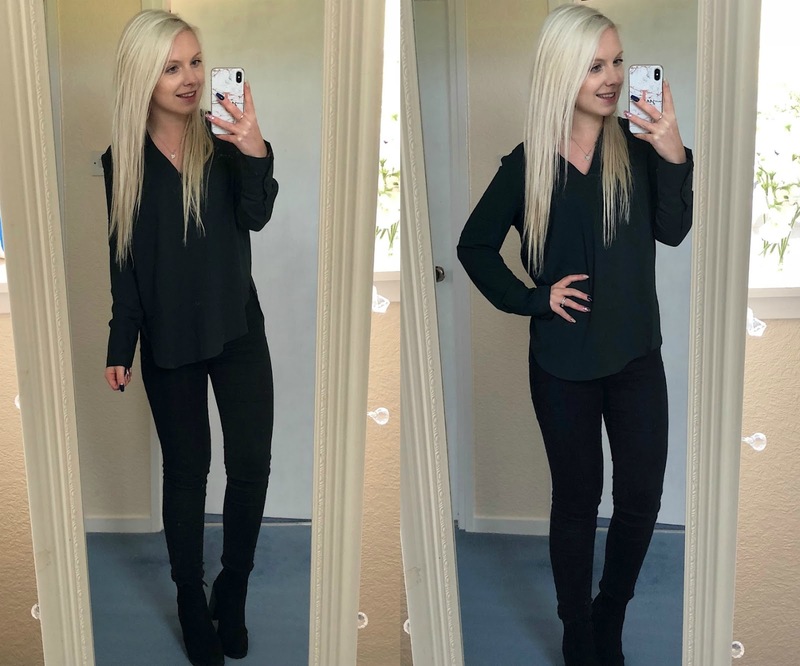 I'm a big fan of the V Neck Blouse in green. It's a lovely rich colour and good for Autumn and Winter. 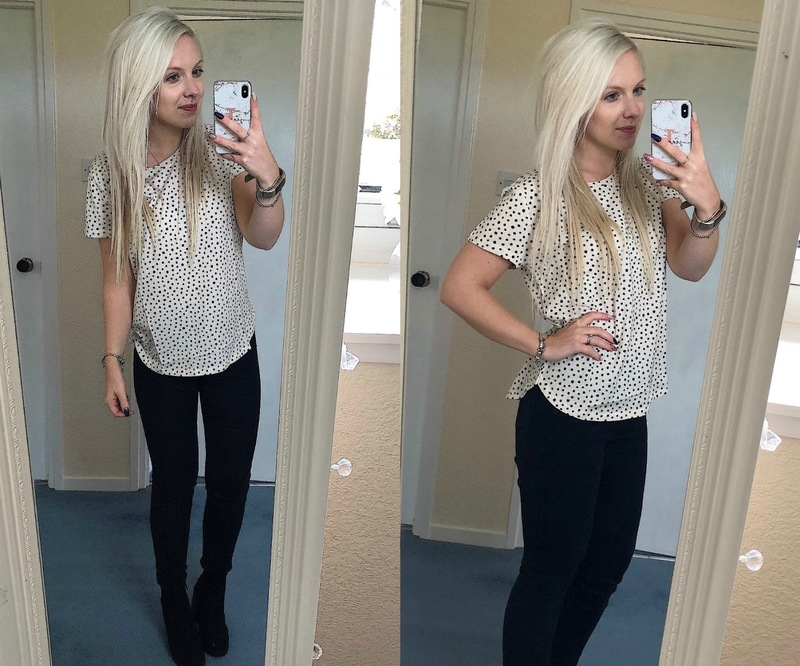 I love a blouse with jeans for work but I think this blouse is stylish enough for going out for dinner. I think I'll be wearing this in London with a leather jacket. My next purchase was the most expensive one, but a cosy and cute one. 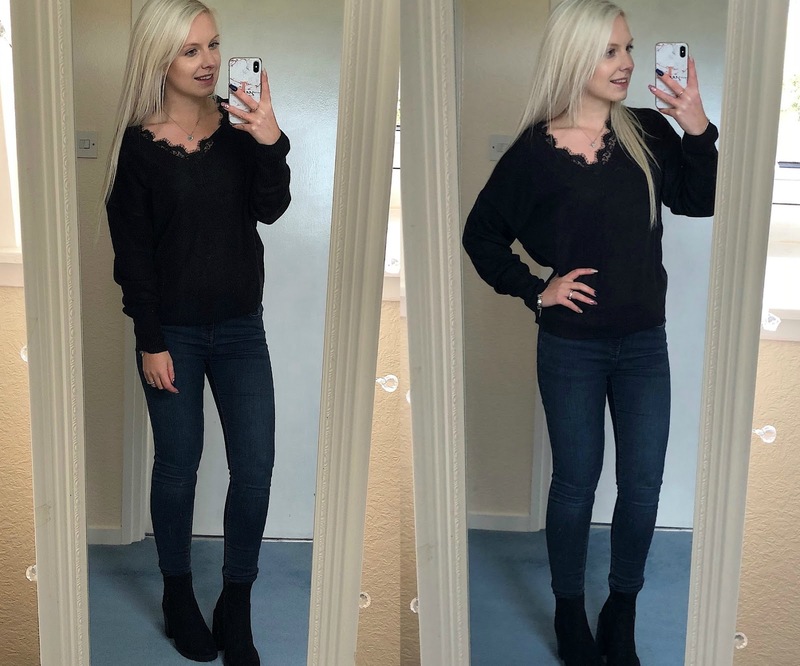 The black lace trim jumper was £16 and is a nice mix of comfy but a little dressy. The lace definitely makes it more exciting than a plain jumper. It's a little short but not completely cropped and it's very warm and snug. My winter jacket is a mustard colour and I wanted to buy a new scarf that would go with it and this checked scarf is actually perfect. It's cream with a bit of yellow, navy and pink so it'll go well with my cream bobble hat or pink one and also looks good with my blonde hair. It's big enough to wrap round and not look too restricting and doesn't look completely ridiculous left undone. It was £7.19 with the discount so not quite as cheap as Primark but pretty good! In most of these pictures I'm wearing my new boots from New Look. My old trusty ones had reached the end of their life. After 2 years they were completely scuffed up and the soles had started cracking so much that I'd get wet feet if there was any rain or puddles. I took advantage of their 20% student discount and bought some Black Chunky Heel Ankle Boots. They are so comfortable, have a decent heel and platform without looking clumpy. I don't have wide fit feet but these are a brilliant size. 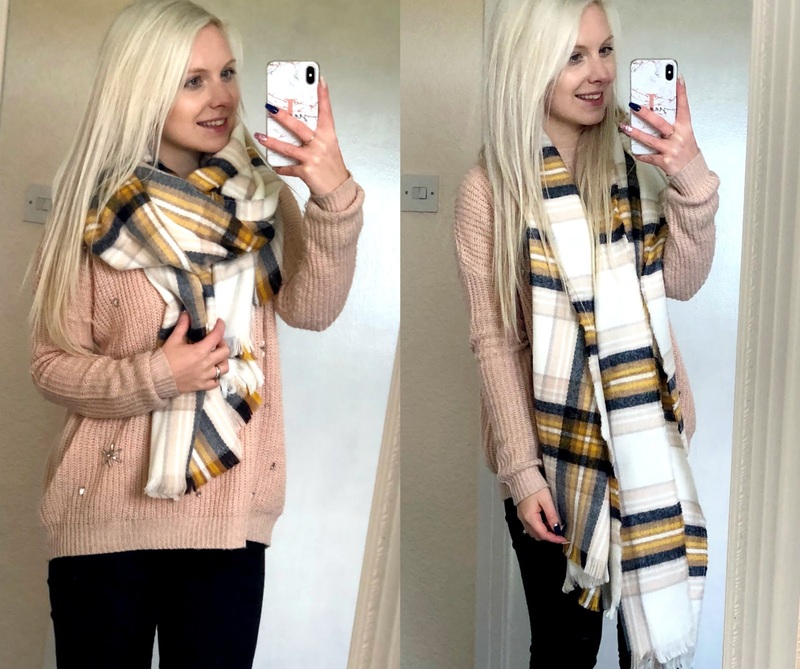 An absolute staple for Autumn and Winter with jeans, tights skirts or dresses.